Browse real estate listings of Manors for sale in France. Realise your dream of owning a historic French property. Search the Sifex selected Manoirs, Maison de Maitre, Farmhouses and Mas for sale in 'View All' listings. Seek a Provencale Bastide to buy. Sifex website showcases luxury French Real Estate for sale. 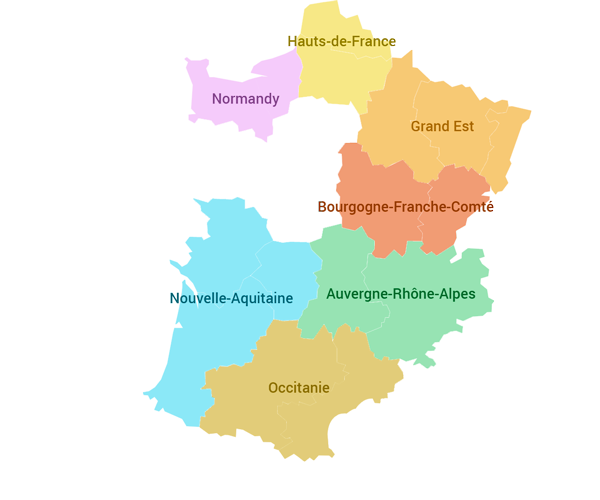 Fill in the form or click a region on the map to produce a department map and a drop down list, showing how many Fine French properties for sale there are. If there are none, the department name will not show.